Wedding traditions come from all over, they can add beautiful meaning to your special day. One tradition that is extremely well known is a rhyme for what brides should wear on their wedding day. The phrase “Something old, something new, something borrowed, something blue” is a traditional British rhyme. The oldest written reference to it was from the late 1800s. The last line of the rhyme is actually “and a sixpence in her shoe.” Each line has symbolism to it, promising good fortune for the happy couple if the steps are followed. The first piece of the rhyme, something old, represents continuity. It roots itself in family history and the idea of protection and health for future children. Wearing something old, such as jewelry from your grandmother or a locket with family photos, can fulfill the first piece. 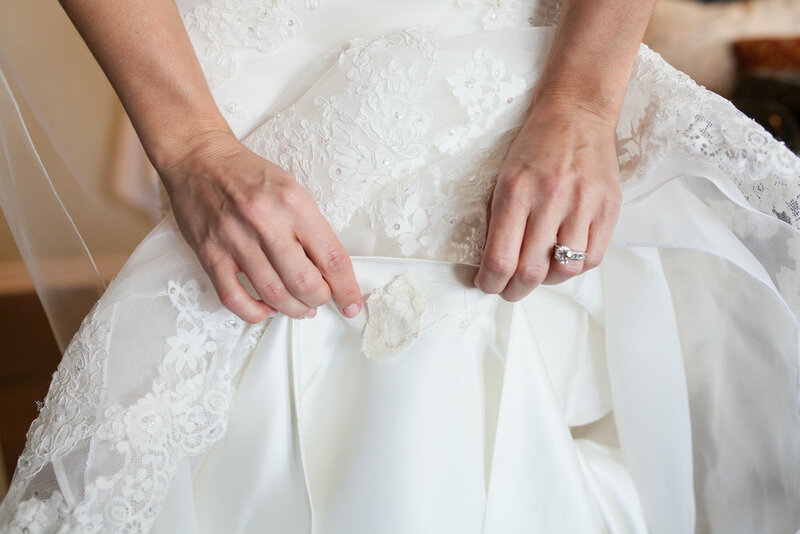 You could also sew a bit of lace from your mother’s dress on the inside of your gown. If you aren’t finding any family heirlooms that suit your style you can vintage shop for the perfect something old. The next part of the poem is something new, which is used to bring new happiness to the future. Something new can be as simple as your new wedding dress! It can also be a gift you were given or a special perfume you bought for your day. Something borrowed is to bring borrowed happiness, from a friend or family member who is happily married. When this tradition began women would wear borrowed undergarments from their friends who had children, to bring fertility. That tradition has very much gone out of date, instead maybe borrow a veil or a hair piece from a friend. Something blue represents love, purity, and fidelity. It religious traditions it can also symbolize warding off evil spirits. Your something blue could be a simple piece of embroidery on your dress, or a blue ribbon tied around your bouquet. Having a sixpence in your shoe may not be so applicable today, the coin was no longer being made as of 1980, but you can use a penny! This Americanized version still is used to bring prosperity to the couple. A penny can be glued onto the bottom of your shoe, or even sewn into your wedding dress. You can even try to look for a penny that was made the year you started dating, for extra good luck!